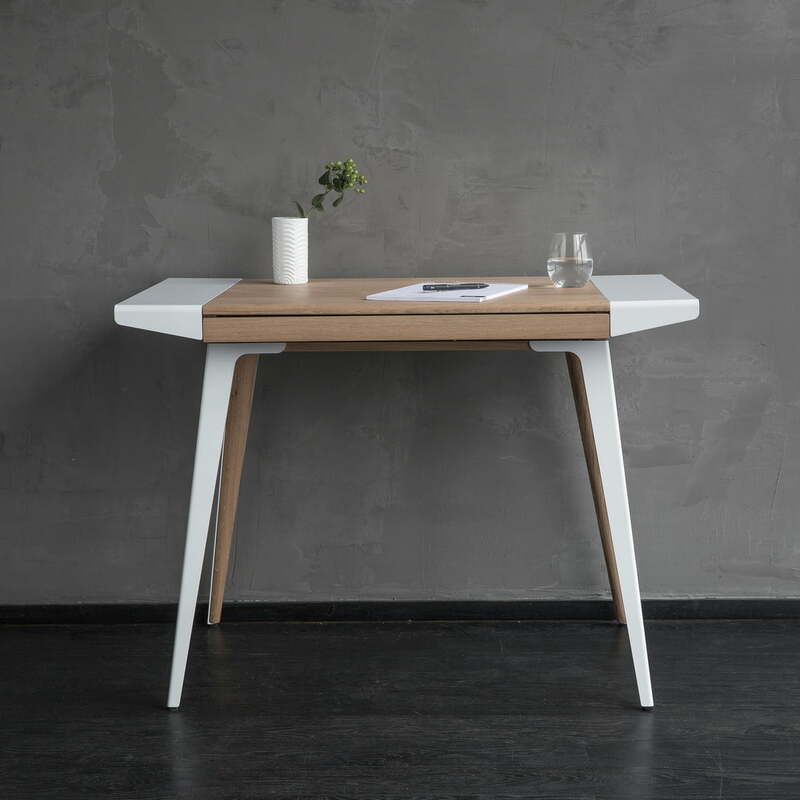 Ambitions by Jonas Søndergaard for Umage is a compact, light and elegant desk, designed to keep the workplace clutter-free. 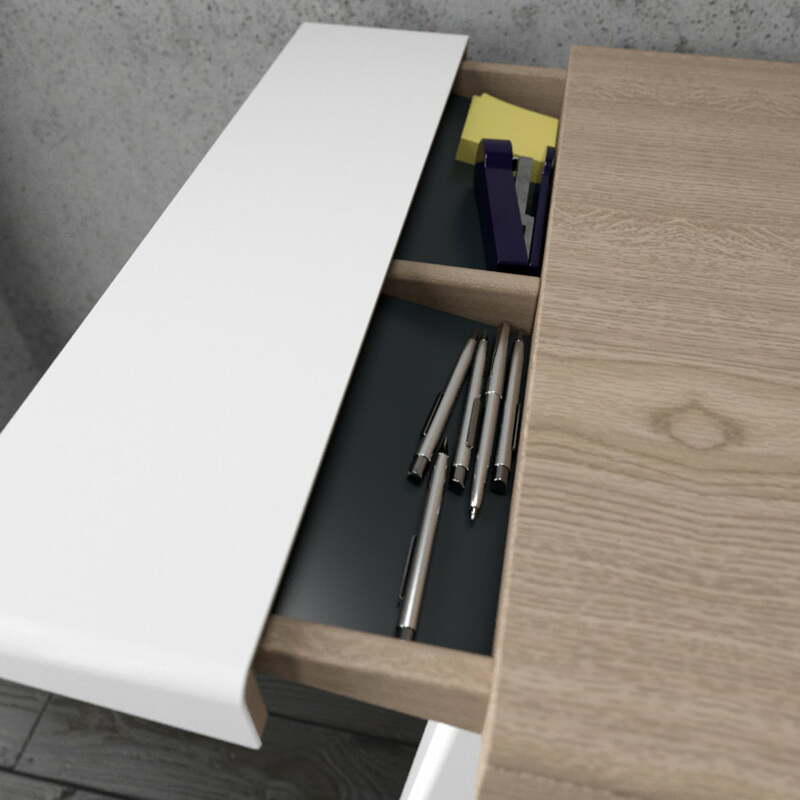 Ambitions was designed with a strong focus on functionality and contains hidden drawers and compartments in which to keep cables, papers and other items out of sight. 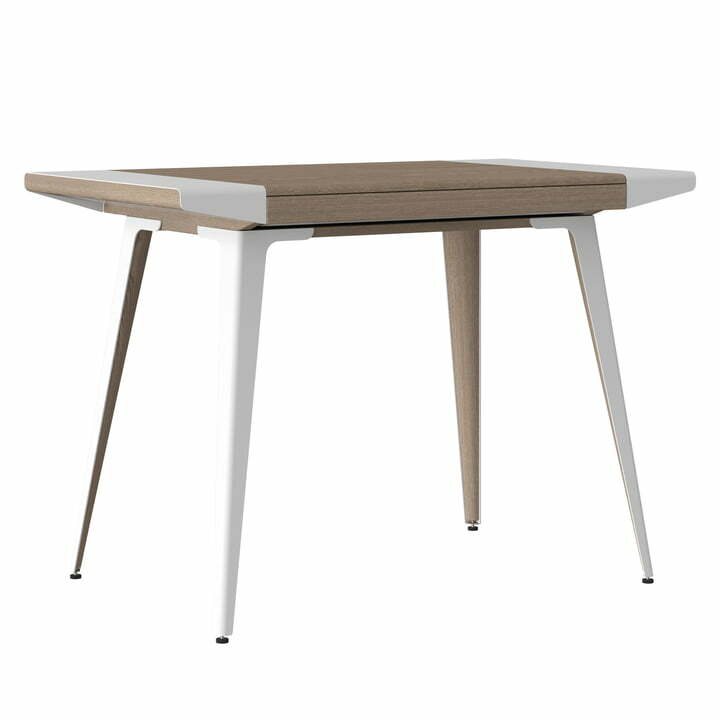 With a width of only one metre, the desk is perfect for smaller living spaces. The combination of wood and powder-coated steel is finished off with rounded edges and details that give the piece of furniture a soft, Nordic flair. Despite its slender silhouette, Ambitions has a wide central drawer that is the perfect size to store a laptop, mouse, or papers when the workday is finished. 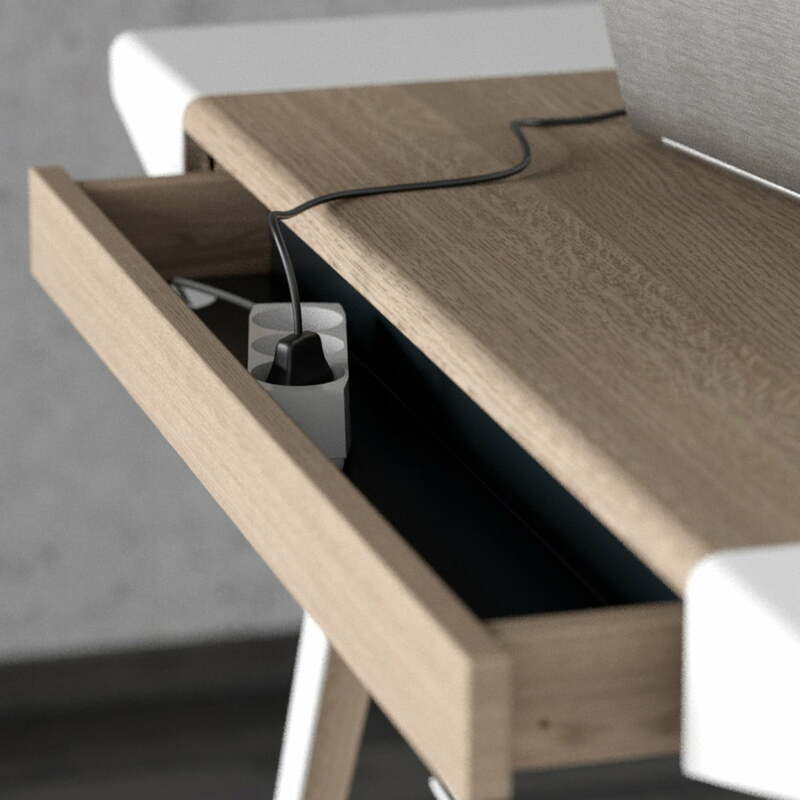 A hidden compartment on the back of the desk accomodates chargers, cables and extension cables and offers easy access to a power source. 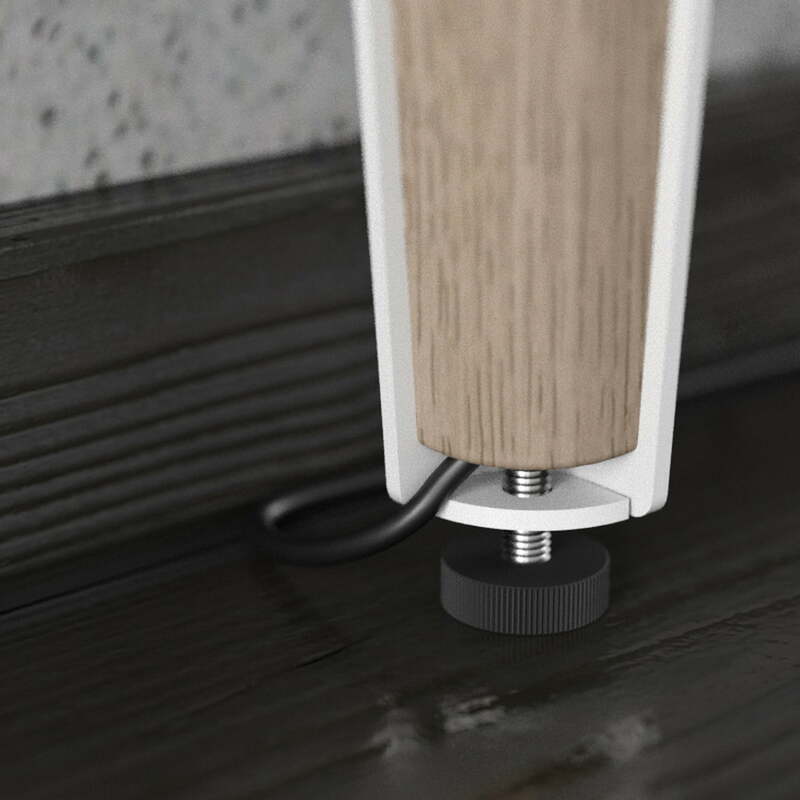 The specially designed legs discreetly lead cables to the plug. 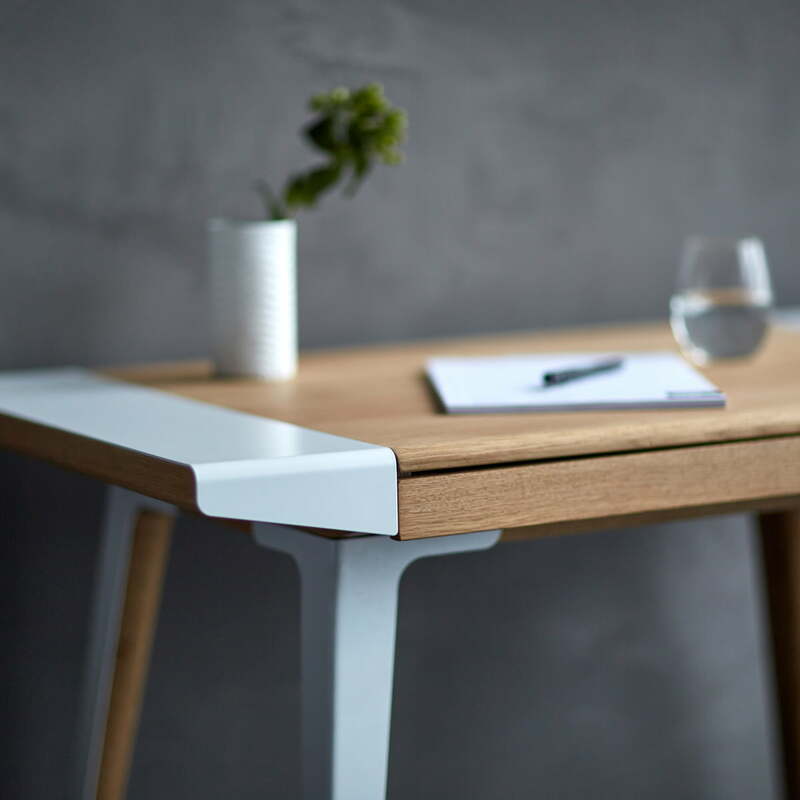 The slender, slanted wings are the striking design feature of the Ambitions desk, concealing two compartments in which to store laptops, pens, pencils, rulers and other office stationery. 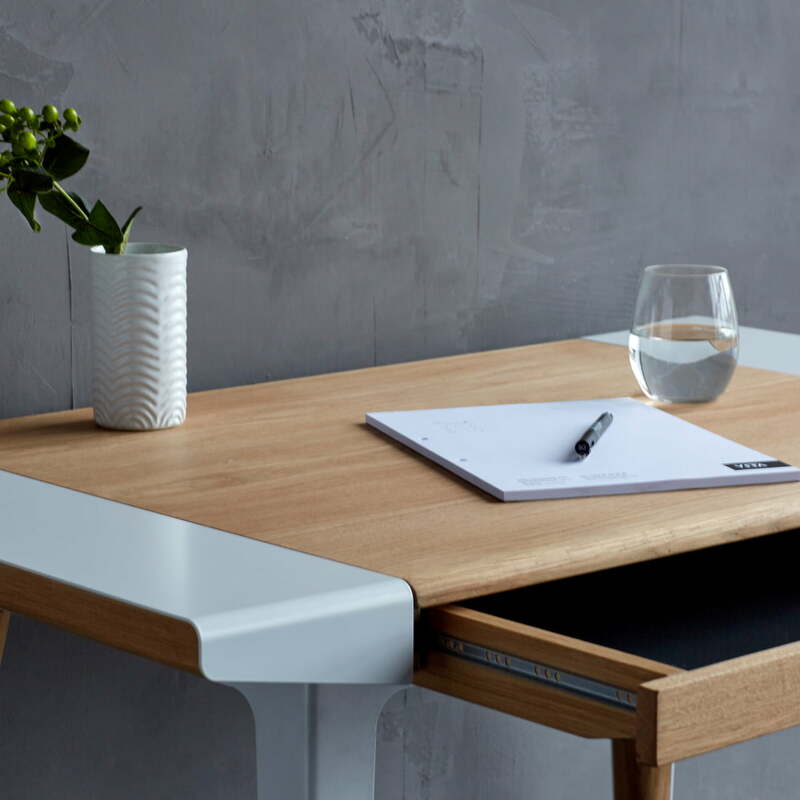 Since the wings are made of powder-coated steel, the surface can serve as a space on which to stick memos with magnets or to take notes with a washable marker. 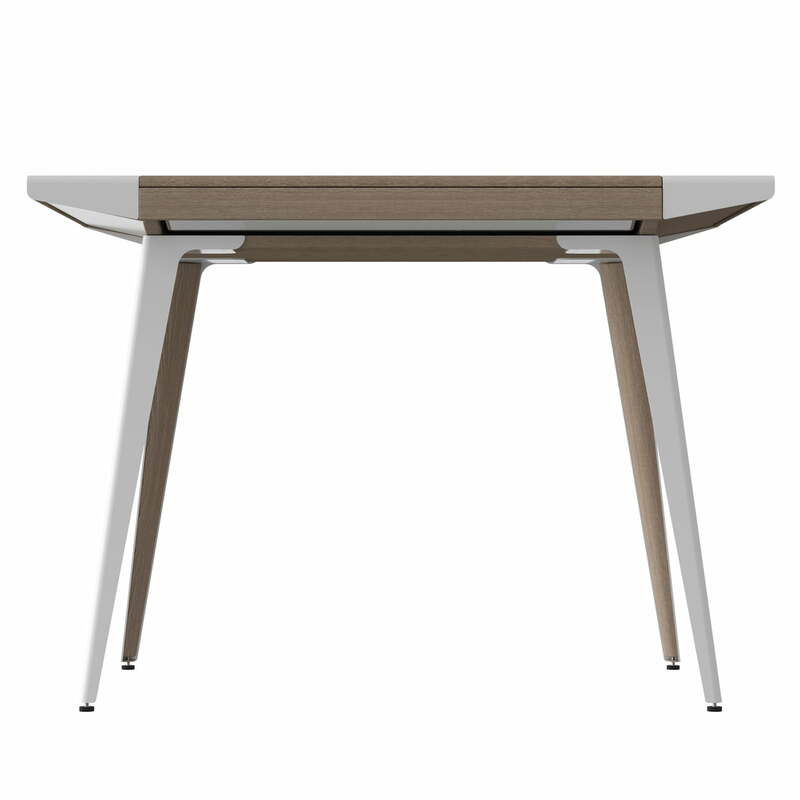 Designed by Jonas Søndergaard, the outstanding yet straightforward desk is a real eye-catcher for the home office.